N. Olmsted Sports Chiropractor Review: 5 Star Staff! N. Olmsted Sports Chiropractor: 5 Star Review! N. Olmsted 5-Star Patient Review: Runner Friendly! 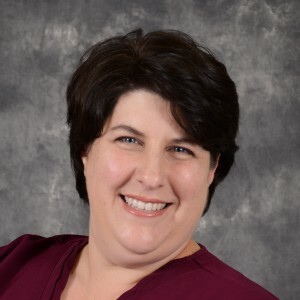 "Superior Spine Care is an amazing place. The level of professionalism, excellent customer service, commitment to community, and care of people is second to none. I have had experience with both massage therapy and chiropractic treatment in the past and can honestly say that this place far exceeds any other results I have had. I am an avid marathon runner and they keep me tuned up, injury free, and raring to go another mile. I know runners like to visit runner friendly spots, so if you belong to this sector of society, look no further. The goal of Superior Spine Care is to keep you running your marathons, and running this race of life in tip top condition." 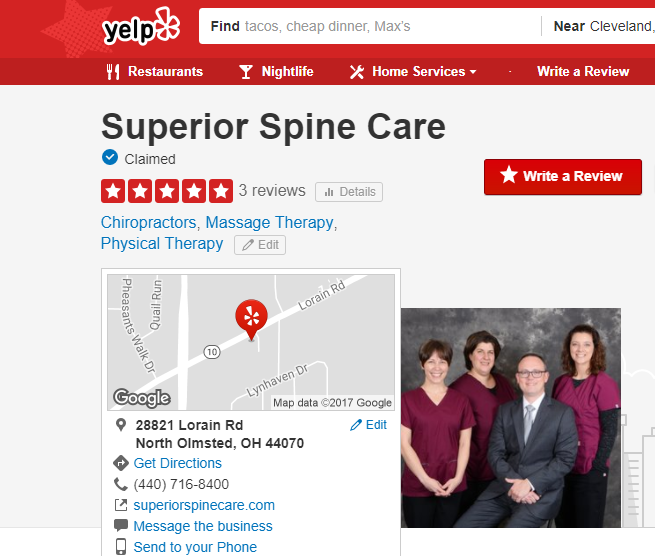 Click on the image of our Yelp reviews to see the review Jessica B. in North Olmsted, OH left for Superior Spine Care. We're proud to have over 50 5-Star reviews throughout Yelp, Google and Facebook. Click on each logo to open up the reviews page at Yelp, Google and Facebook to read the reviews our patients have left for us. Patient reviews are always helpful for our practice. 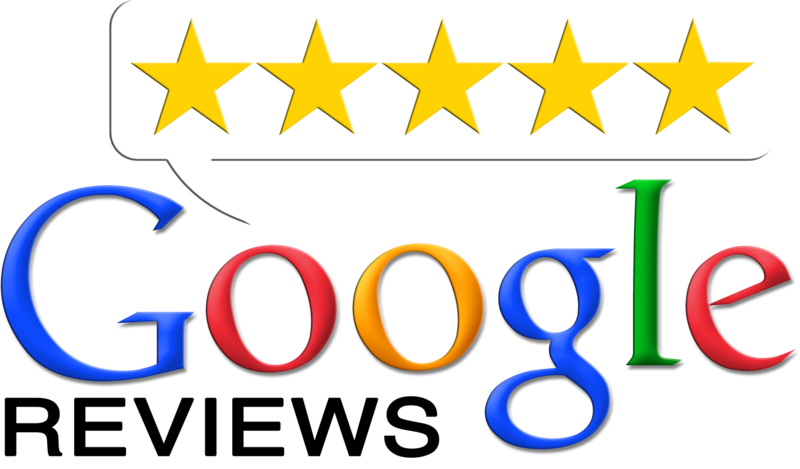 The more reviews we have on Google the more likely we are to show up on the first page of Google searches when people are looking for chiropractors, massage therapist or physical rehabilitation near North Olmsted. So after you've read our reviews and come to see us, please consider leaving us another review to make it easier for another patient to find Superior Spine Care in N. Olmsted. At Superior Spine Care we advocate for an integrated approach to spinal care and recovery by having all three professionals here to help you with pain management, recovery, rehabilitation and performance. Whether you have been in an accident, suffer from a condition, are a high-performance athlete or a hard-worker, we use the skills of our team: chiropractor, massage therapist and physical therapist to get you back to peak performance without the pain. Chiropractic care for both acute and chronic conditions, getting his patients out of pain quickly and restoring long term function. Physical therapy and rehabilitation with a specialty in Physical Wellness Performance and Injury Prevention. Specialties include targeted therapeutic massage with trigger point work, kneading, compression and cross-fibre massage. 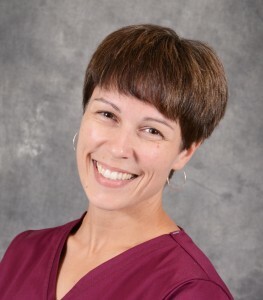 Start today by scheduling a patient evaluation with our clinic's director and chiropractor, Dr. Neil Wensink, who will evaluate your pain, discomfort or injury and prescribe a comprehensive care approach including whichever chiropractic care, massage therapy or physical therapy for optimal treatment. ← Can Chiropractic Care Relieve Neck Pain? 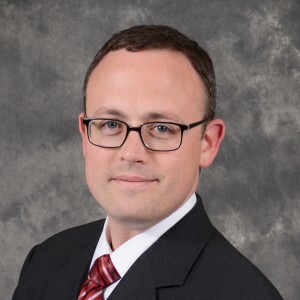 Schedule a patient evaluation with Superior Spine Care's Clinic Director and Doctor of Chiropractic, Dr. Neil Wensink today. Want to visit the clinic and ask some questions first? Schedule a 10 minute, free, consultation. Located in North Olmsted, minutes from Westlake, N. Ridgeville, Olmsted Falls, Avon Lake and Avon.